In the majestic glory of a colonial bungalow, Nuwara Eliya hosts Oatlands by Jetwing atop a quiet hill with four magnificent bed chambers for luxurious upcountry living, with the homely essence of legendary hospitality in our family. 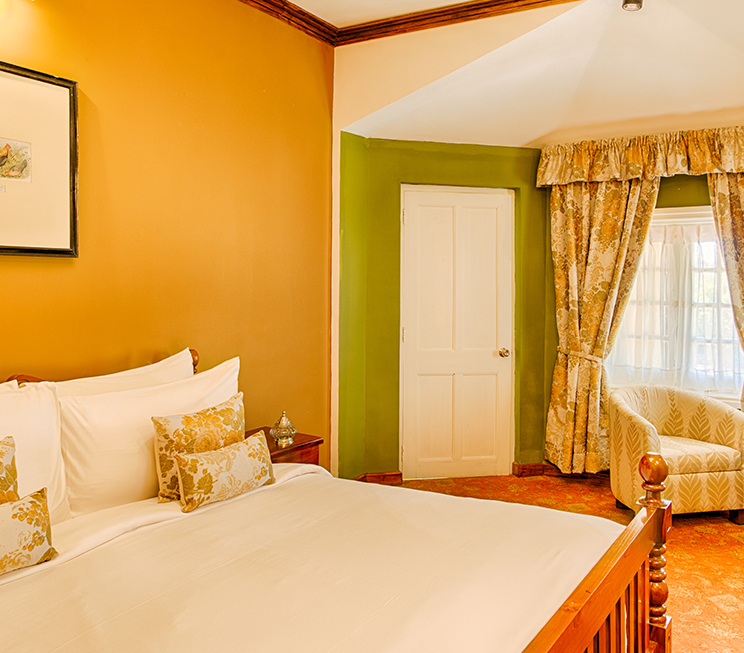 Each of our Deluxe Rooms features a pleasant view of our homely garden overlooking the mountains beyond. Dressed in infinite shades of green, the rolling hills of tea beyond are best viewed with a steaming cup of their brew in your hand – enjoyed in the comforting corners of a separate seating area in your chambers, where you can switch on the individual heating unit and curl up with a book for a truly serene hill country holiday.